You must make reservations at least 5 minutes in advance of the time at Blue Orchid Thai Cuisine. 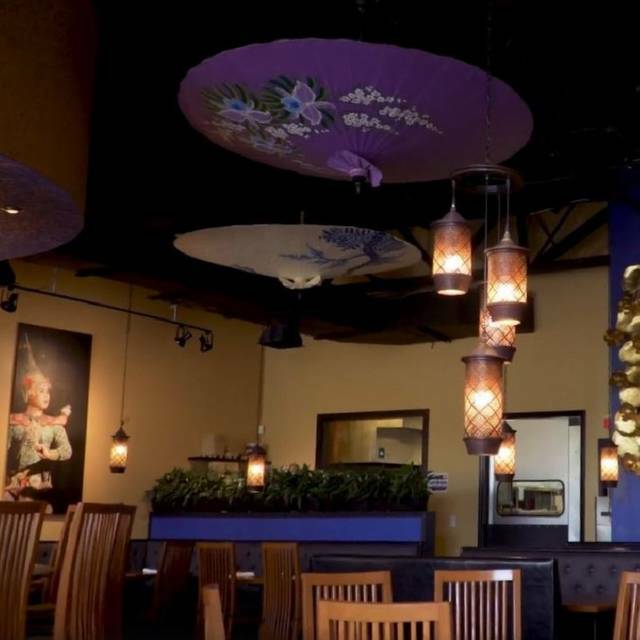 Blue Orchid was founded to inspire love of Thai cuisine and culture. We aspire to bring you the most amazing and beautiful Thai food you have eaten as well as to expose you to the wondrous hospitality for which Thailand is famous. 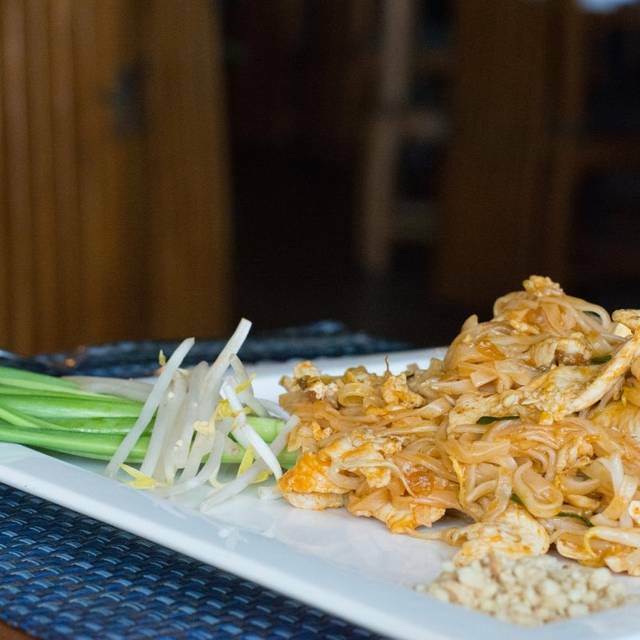 Come experience our "Thai smiles" for yourself. Great as usual. Wonderful food. Excellent service. Beautiful staff. Very tasty food! I loved the coconut curry bowl. It had plenty of seafood, a great flavorful curry sauce & was so delicious! My husband really enjoyed his green curry with shrimp also. The ambulance was very pleasant & festive, clean also. The staff were all very nice including the owner who came by our table to check on us. Great experience! Ambiance and staff — really nice. Food — not so good. We ordered summer rolls and we got two that were filled with nothing but iceberg lettuce and some carrot strings, definitely not worth the money. I order Panang curry. The sauce was good compared to other panang curries I’ve had, but my tofu was very overcooked, tough and chewy. If you want dependably yummy Thai, go to Thai Spice kitchen. It’s not nearly as fancy but the food is alway stellar. This was our first visit and we thoroughly enjoyed it. Both the food and the service was excellent. 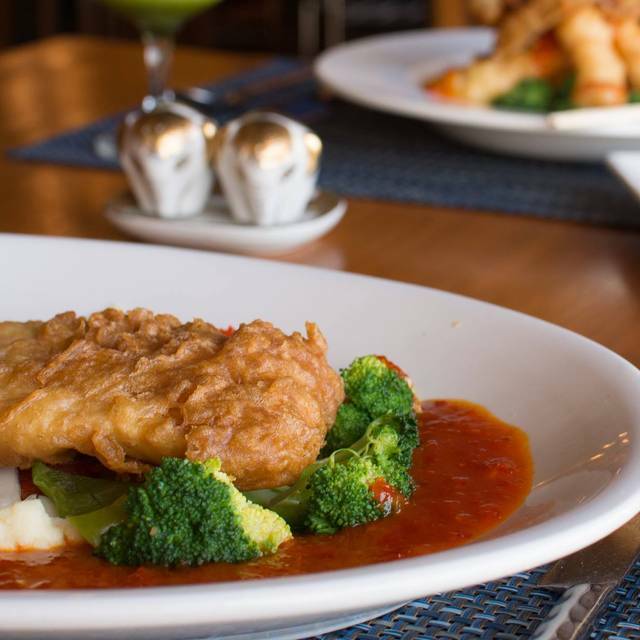 Blue Orchid is one of our favorite restaurants. The food is consistently good and the service as well. Highly recommend. Love the food, but the wine list needs some tweaking of the prices (downward). Have never had a bad experience here. It was great as always. I was pleasantly surprised to find the food and service to be very good here. Both were definitely above similar restaurants in the city. From the greeting to end of meal we were treated with great hospitality. Will definitely come back. Food is always phenomenal. They have been open for a few years and have really mastered their business. Always packed but always delicious. Best Thai restaurant in north Florida. 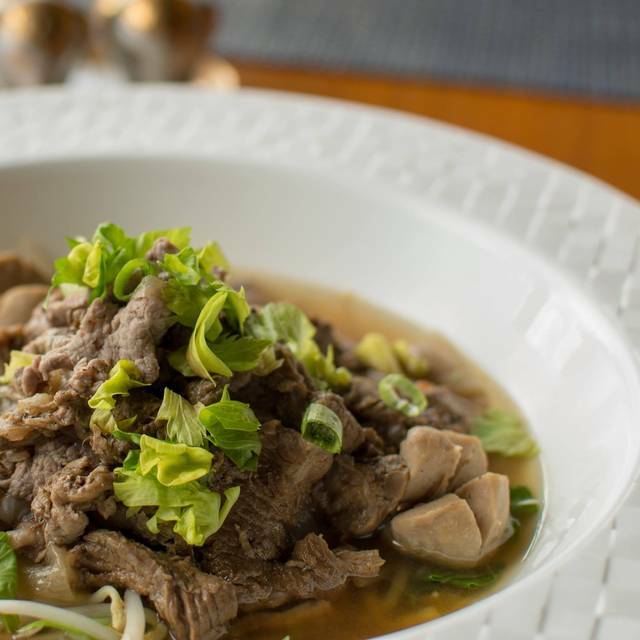 Try the Tom kah soup or the pad see ew. The best Thai food I have had in a very long time. When visiting the area I eill be back for certain. Everything was very good but not great! That maybe my fault because my expectations was that this was the best Thai food in Jacksonville. Living most of my life in NY I guess I have been spoiled. Always great service and awesome food. We had a party of six and everyone was quite happy with our meal and service. Best Thai food in Jax! My new obsession. Thai hot is the way to go. Amazing drinks as well. I had a late lunch with a friend at Blue Orchid. She had one of the noodle dishes and I had the garlic stir fry with broccoli, cauliflower and tofu. We started with the chicken noodle soup and split spring rolls. All was delicious as usual. 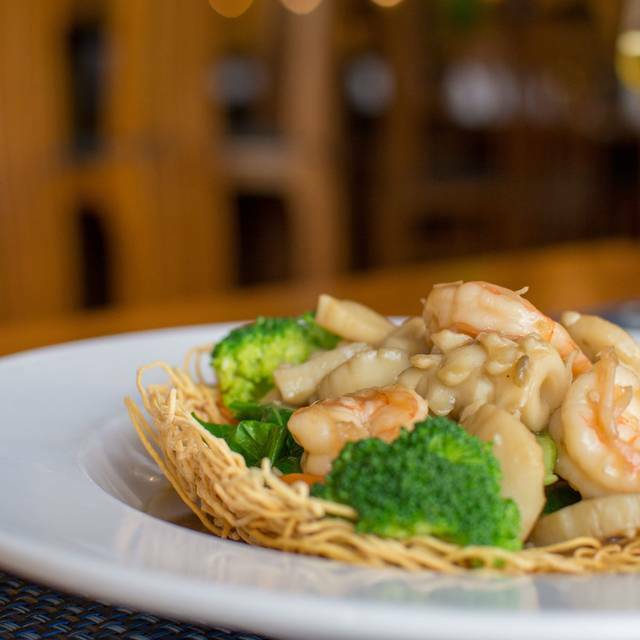 We think Blue Orchid is the best Thai restaurant in Jacksonville. We have had most of the curries and stir fries. For this trip, we split egg rolls and crab rangoons to start and then had phad Thai for our entrees. Although we prefer the other entree selections, once again we felt the food was excellent. The service was not quite a “5” but the restaurant was very crowded and wait staff was as attentive as possible given the circumstances. By far one of our favorite restaurants in Jax. Great atmosphere and delicious food! My sister and I were there for dinner and we LOVED it. The Coconut soup was to die for! The welcome hostess was a bit testy so I was put off at first but we were seated pretty quickly and in a nice corner so a little less noisy. From there service was really impeccable and prompt. Wine was good and they catered to my allergies very well with my whole table sharing in my meal in the end. We had the coconut shell curry and the curry duck. With fresh veggie and shrimp rolls. All very good and bursting with unusual flavors. We will return soon. The five of us hadn’t been back for a few months and were so pleased with everything! We all loved our various meals and the attention of our server and the owner. So glad we know where we can get great food!! First, this is not my first time there. I love the place! Now some details. The owner is always attentive to his customers. Always. I saw him personally take care of a special request from a lady who was sitting at a table beside us. A rose for the ladies on Valentine's day was a nice touch. The staff are friendly. Always. The food is consistently good. Are you seeing a theme here? Every time we go it is nothing less than an intimate, friendly experience. They don't miss a beat. Even on one of the busiest days of the year for a restaurant. Awesome job! Everything was excellent. Service was a hair slow, but nothing awful. Highly recommend. Our absolute favorite Thai restaurant. The food is outstanding and everyone who works there is so accommodating. Decor is amazing. This was our first visit. The food was very good and the atmosphere was nice. Excellent service and food. Great detail by the owner to flavor and ambiance as well as presentation. Great New Years Eve dinner . food is delicious. we eat here at least twice a month. service is great as well as the atmosphere. Consistently excellent restaurant which is clearly family run and we're all delighted for that. Location is not easy to find the first time but plenty of parking and good adjacent stores too. I love this restaurant! Absolutely my favorite Thai restaurant and one of my favorite overall in Jacksonville, Florida. You won't be disappointed. With a reservation had a great table. Food is always good even if you’re not a Thai fan. I would like a few more wine choices but my friends enjoyed the cocktails!